This car is smarter, faster, and easier to drive than most cars. I love the functionality of the car. The car warns you if you are getting too close to the next car and this car also has lane keeping assist which helps you stay within the lanes. There is a back up camera as well as a side camera to help you. There is also carplay so that you can see everything on your phone on the car's display. I've had a few problems with this particular car. I be only had it for a year and have already had trouble with the brake pads and gear shifting. The most important feature is that you can easily charge the car and not have t buy gas. 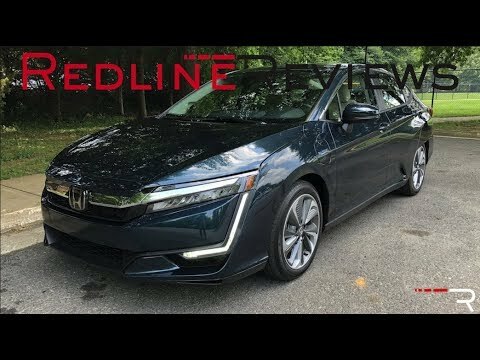 2018 Honda Clarity Plug in Hybrid Review - The Future is Now? 2017 Honda Clarity Fuel Cell Sneak Peek Review: Is Hydrogen Power The Future? Honda (American Honda Motor Co.) is recalling certain 2017 Clarity Fuel Cell vehicles. The fuel cell control unit (FC-ECU) may misinterpret a small cell voltage drop, causing the vehicle to have reduced, or a complete loss of, power. Honda will notify owners, and dealers will install a software update, free of charge. The recall began February 28, 2018. Owners may contact Honda customer service at 1-888-234-2138. Honda's number for this recall is R0L.